The upper house of the Russian parliament has unanimously approved a ban on adoptions to the United States earlier today. Now, the bill goes to President Putin for his signature. The ban was added last week to a broader bill retaliating for human rights sanctions signed by President Obama earlier this month. Putin has expressed support for the broader bill, which reciprocates the sanctions, but he has dodged questions about the adoption ban. At stake are the cases of 46 Russian children whose adoptions would be frozen if the bill becomes law, according to Russia’s children’s ombudsman Pavel Astakhav. 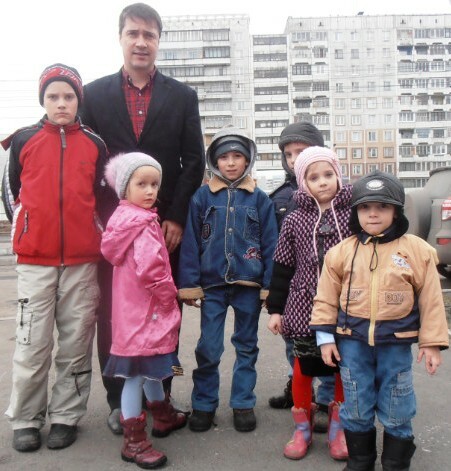 He said those children would receive priority to be adopted by Russian families. The proposed ban has split Russian society. Outside the parliament at least seven people were detained while protesting the bill, according to RIA Novosti. Human rights advocates have urged Russian authorities not to move forward with the ban, saying it denies Russian orphans a home with a family. Several top officials, including Russia’s foreign minister and education minister have come out against the ban. A memo from another top official suggested its passage would cause Russia to breach several international treaties, including a recently enacted adoption agreement between the United States and Russia. Others, like Astakhav, have supported the measure, saying that Russian children should remain in Russia. A recent poll by the Public Opinion Foundation found a majority of Russians supported the ban, while a quarter opposed it and another quarter expressed no opinion. For complete news story from the New York Times, click here.